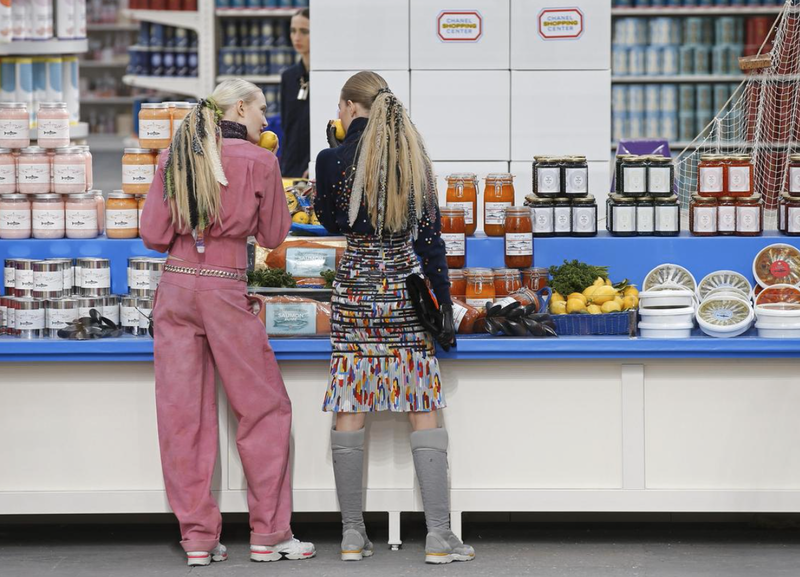 Chanel 'Supermarket' Fashion Show. 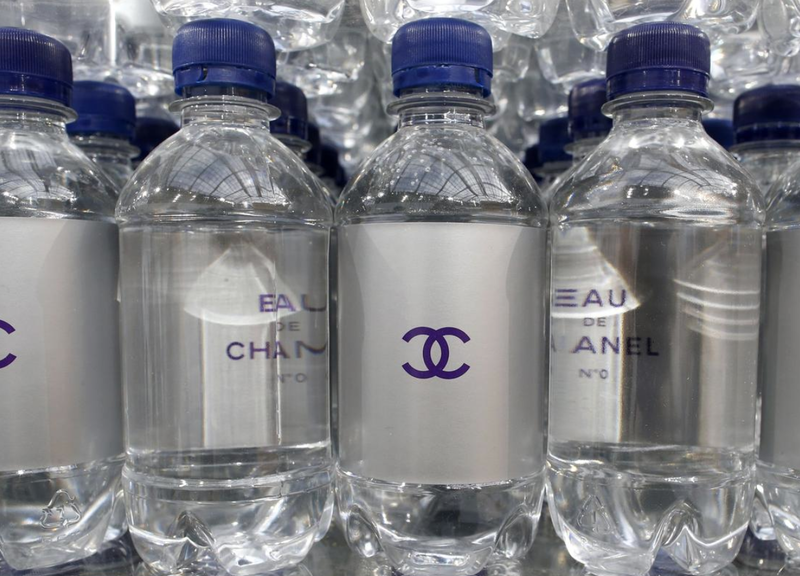 Chanel, classic flannels, Karl Lagerfeld, Cara Delevingne, Kendall Jenner, Rihanna and supermarkets combined? Definitely unforgettable. 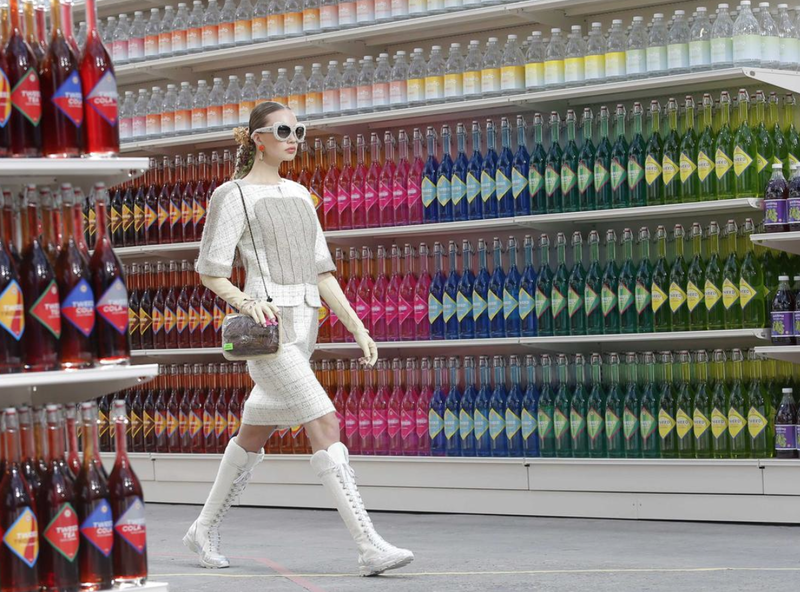 That's what happened in this year's 2014 Chanel famous 'supermarket' themed fashion show. 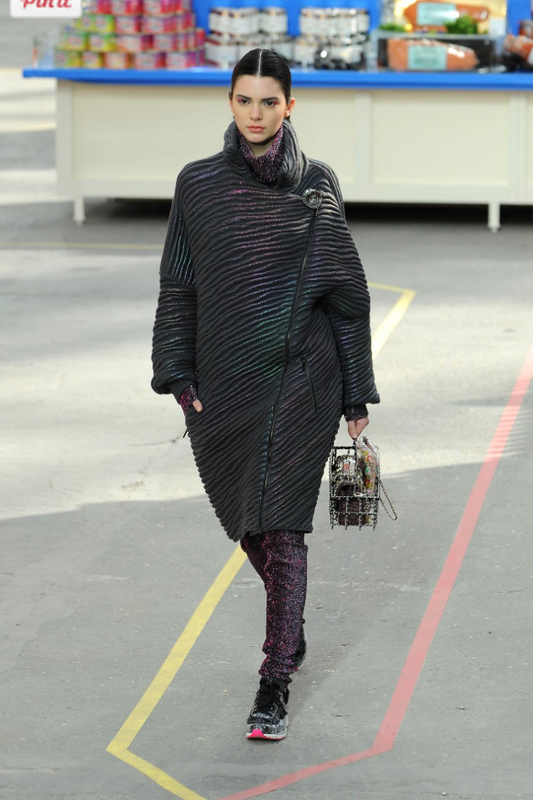 Finally, this collection is definitely something wearable and high-fashion at the same time. 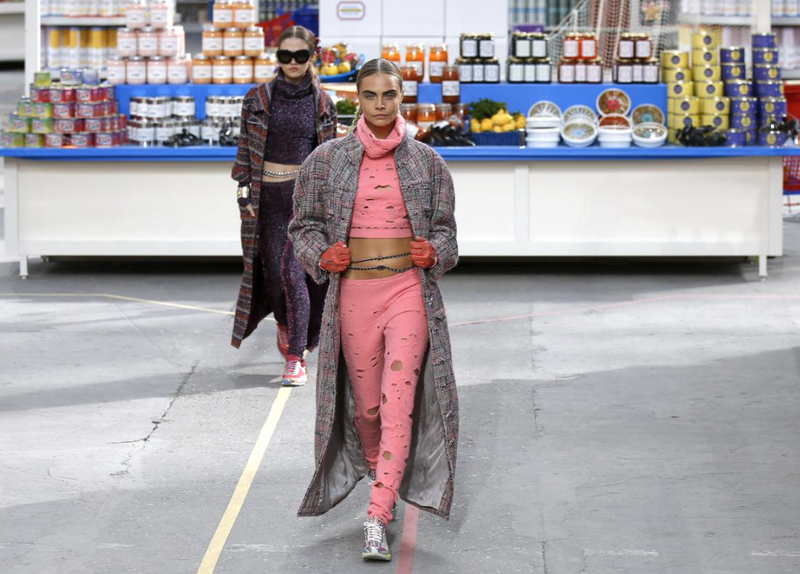 I loved the colors, cropped tops, monochromatic looks, chains & ripped designs. Check the pictures out! Tattered cropped top & matching sweats! I love the color and the model! Look at the details and the pearls on this look! 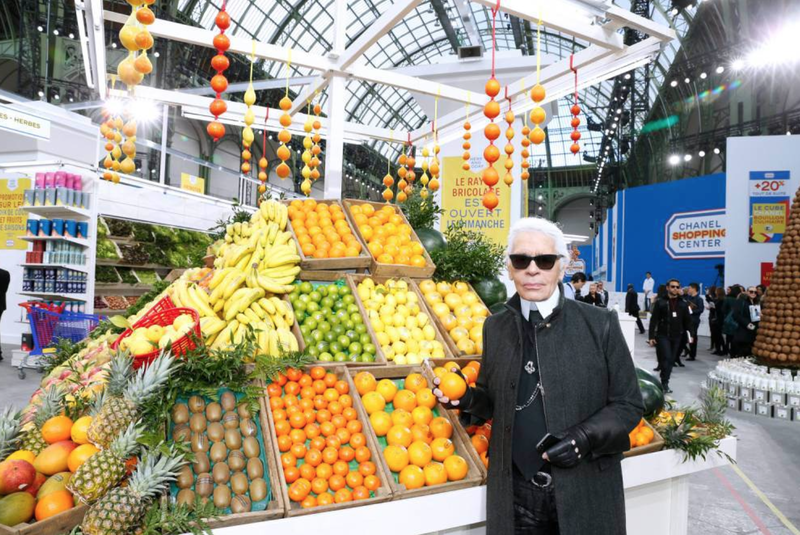 The man behind it all: Karl Lagerfeld. Need I say more? 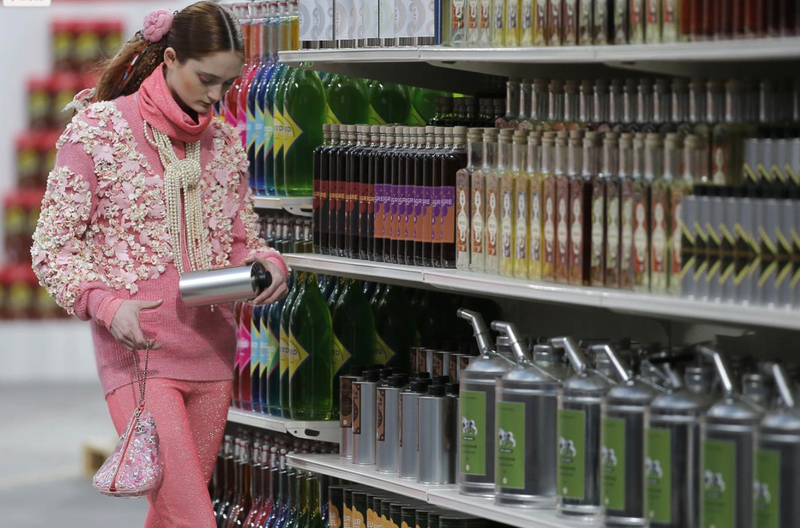 It's such a unique concept mixing high-fashion, with street style. I loved everything!!! I can honestly say, I really missed blogging.